We all partner. It’s a survival technique, and you learn it well…our goal is really meeting the needs of the families. When residents of Wirt County, West Virginia, say they know everyone living nearby, they are not exaggerating. It takes 30 minutes to drive across the county, and there are no stoplights anywhere. At 235 square miles, Wirt is the eighth-smallest county in the state and roughly the same size as the city of Chicago—albeit much more sparsely populated. What Wirt County lacks in size and resources, it makes up for with a way of life centered on community giving and collaboration. Most health-related programs or services are the result of either local cross-sector collaboration or partnership with organizations from other counties. County residents paint a picture of a place that has not strayed far from its roots. They rally around each other much like early settlers must have in the late 1790s, when William Beauchamp established the county’s first farm (which eventually became the town of Elizabeth, still the only municipality in the county today). Residents place a high value on pulling together to help neighbors in need and on doing what they can to improve their health and well-being. These better-than-expected results are likely influenced by local conditions and initiatives created to improve overall health and well-being. For instance, field research indicates residents’ shared sense of duty to take care of each other may play a role in the county’s health. Wirt County residents have also focused on expanding access to healthy foods, addressing mental and behavioral health needs, promoting healthy child development, making comprehensive health care available to more residents, and providing supportive services to those who need them most. Wirt County’s classification as a Bright Spot means that, on average, the county performed better than expected on a number of health outcome measures, given its resources—that is, the socioeconomics, demographics, behaviors, health care facilities, and other factors that influence health outcomes. 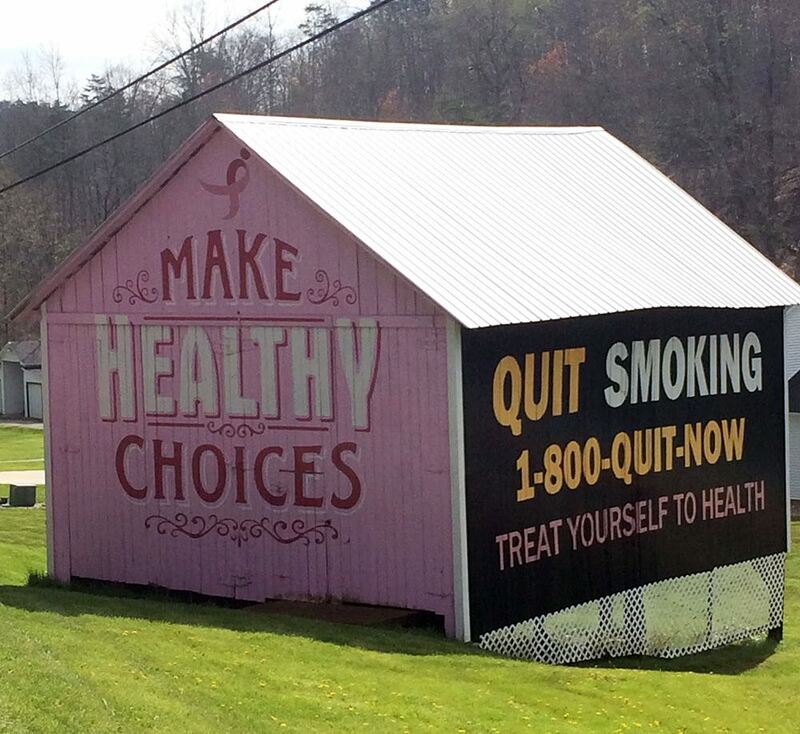 It does not mean that all Wirt County residents enjoy excellent health. In fact, Wirt County lags behind the rest of the nation on many health outcome indicators. Like other communities with limited resources, Bright Spot counties face many challenges to attaining good health outcomes. But Wirt’s performance indicates that certain county conditions or programs may be helping generate better-than-expected outcomes—and that other resource-challenged Appalachian counties may benefit from adopting similar initiatives. Wirt County represents a metropolitan county in North Central Appalachia. It is one of a cluster of Bright Spot counties in north-central West Virginia and one of the eight Bright Spot counties in the state as a whole. Home to a portion of the Hughes River Wildlife Management Area, part of Wirt County is covered in mature oak-hickory hardwood forests. The majority of the county is farmland, especially along the Little Kanawha and Hughes Rivers. It is part of the Parkersburg-Vienna metro area, with Elizabeth serving as the main hub of commercial and government activity. Wirt County has three commissioners who serve in part-time positions for 6-year terms. Wirt is the least-populous county in West Virginia, maintaining a relatively stable population of approximately 5,800 residents. It is racially homogeneous—98 percent of the population is white. Classified by ARC as economically at-risk in fiscal year 2017, the county had an unemployment rate of 9.7 percent in 2014, compared with the national unemployment rate of 6.2 percent. The estimated median household income was $38,600, compared with $56,135 nationally, and 20.3 percent of Wirt County residents lived in poverty in 2014, compared with 15.6 percent nationally. The major employment sectors in the county are education, health care, and social services. 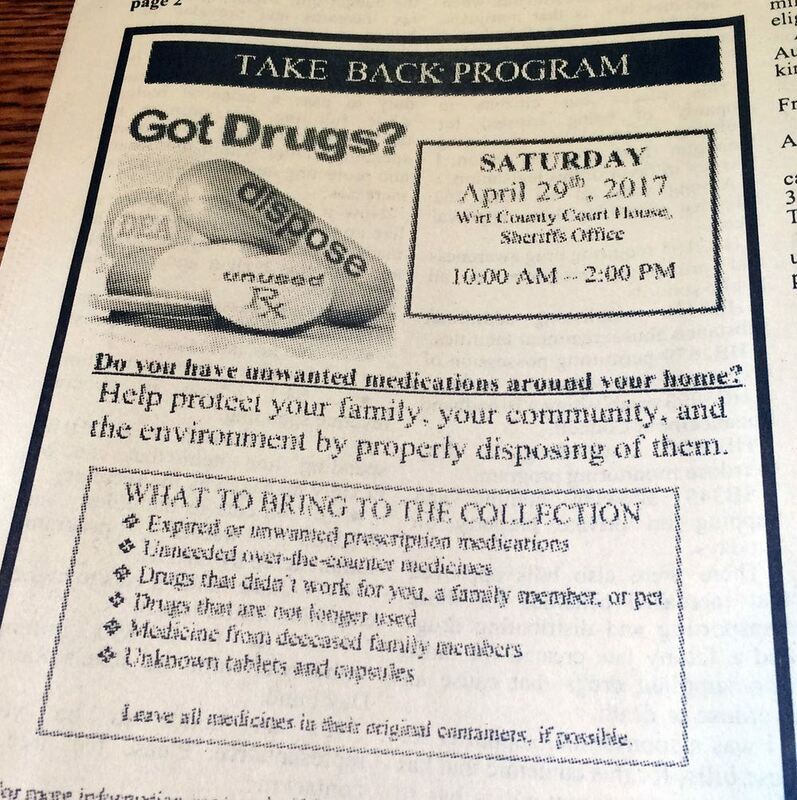 In Wirt County, concerns about opioid and other drug use run high, as they do throughout much of the state. West Virginia’s drug overdose mortality rate is the highest in the nation and more than double the national rate. Lack of public transportation is also a challenge, and often a barrier to accessing health care and other services. In Wirt County, as in other Bright Spot communities explored in this report, stakeholders have collaborated to offer a variety of services to address the physical, social, and economic health of residents. These services include sponsoring health fairs and conducting oral health screenings; providing needed transportation to health or social services, especially for the elderly; and offering health-related education to students. Connecting residents to social services to improve their health: Community leaders are leveraging limited resources to provide support for residents in a number of ways, including through health fairs and other family-oriented events. Local groups also use programs and services at the local Coplin Clinic and the Wirt County Senior Citizens Center to manage, identify, and coordinate follow-up on health-related issues. Initiatives targeted to specific challenges: Recognizing that resources are limited, Wirt County pursues regional assistance to address specific challenges related to substance use prevention, transportation needs, and combating hunger. 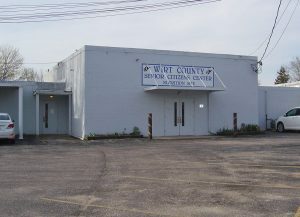 Support for seniors: The Wirt County Senior Citizens Center serves as a support-services hub, providing a broad range of assistive services to the elderly. These include daily meal delivery, a daily group meal on site, an adult daycare program that provides both on-site and in-home assistance, and help with monitoring health issues. Targeted support for youth: It is clear that the county sees its role as vital to the growth and development of local youth. Stakeholders view the local school system as one of the county’s most valuable assets and willingly open it to student residents of adjacent counties. The Wirt County (West Virginia University) Extension Service works closely with the school system to extend services beyond the school day. Grants and public funds: The county knits together funds from state, federal, foundation, and local grants and from donations to maintain essential social support networks. For example, it uses grants awarded by the Parkersburg Area Community Foundation for substance abuse and addiction prevention efforts, while the local schools leverage public funding to tackle the same concern. Many of Wirt County’s efforts mirror those of other Bright Spot communities in three overarching categories: cross-sector collaboration, resource sharing, and an active faith community. Almost any health-focused initiative in Wirt County is a result of two or more groups collaborating to meet residents’ needs. Many of the collaborations offer health services, health education, and social services to address factors that can impact health. The Wirt County Health Department, which is a regional extension of the Mid-Ohio Valley (MOV) Health Department, works with local groups to organize family-friendly events that double as resource fairs, connecting residents with organizations that offer social support services. This includes an annual countywide baby shower at which area hospitals host booths to inform expectant mothers of their program offerings, and provide information on topics such as the risks of smoking during pregnancy. The health department also coordinates biannual county health fairs that are open to all county residents. They are staffed by AmeriCorps members and practitioners from Wirt County Family Care, which is referred to by locals as the Coplin Clinic (after its founder, Robert Coplin). These health fairs provide free bloodwork, dental screenings, and vital-signs checks. Residents who learn at the fair of a health issue affecting them are given a referral to either the Coplin Clinic or a provider in a neighboring county. This service includes referrals to one of 22 dentists in Parkersburg who serve six area counties and provide extractions or fill cavities for a minimal fee. As a result of each fair, approximately 300 to 400 people receive dental care that might otherwise be out of financial reach. A number of cross-sector and cross-county networks and coalitions have formed to address a range of factors that impact health. The Family Resource Network Alliance, formed almost two decades ago, includes representatives from more than 25 local churches, social service agencies, prevention groups, and businesses, who meet weekly to identify and address service gaps and needs in local communities in order to improve conditions for children and families. Established in 2016, the Wirt County Prevention Coalition brings together 12 local and regional organizations to coordinate health-promotion efforts. And 14 health and social services organizations, including local hospitals, the West Virginia Primary Care Association, and other agencies, collaborate as the MOV Rural Health Alliance. The MOV alliance focuses on improving community health through disease prevention, expanded access to health care services, and creation of an electronic health information system to ensure seamless care across providers. In Wirt County, the alliance has partnered with the Coplin Clinic to improve patient follow-up, and with the Minnie Hamilton Health Care System to expand access to medical testing. It has also provided services to county residents on a sliding-fee schedule to reduce cost barriers to access. Recognizing that resources are limited, Wirt County citizens pursue regional assistance to help provide health care and other health supports to residents. Many care agencies are affiliated with regional groups outside of the county. The majority of health care services are regionally oriented to maximize resources, efficiency, and access. The Mid-Ohio Valley (MOV) Health Department rotates its clinicians to Wirt County and the service region’s six other counties to meet need. In addition, if Wirt residents can’t meet a clinician in the county, they can travel to a neighboring county to obtain services. Pooling resources and being willing to work together as a region is a necessity to improve the health and well-being of the county. As part of the MOV Health Department, the Wirt County Health Department consistently devotes funds and resources to health-related initiatives. The department uses state and federal preventive-care funds to support chronic-disease and diabetes self-management. AmeriCorps members assist with follow-up for health department patients and health fair attendees who are referred for additional services. These services sometimes qualify for third-party reimbursement. The county’s only primary-care facility, the Coplin Clinic, rotates medical staff through multiple counties to maximize efficiency and resources. The clinic is part of Coplin Health Systems, which operates facilities in Wirt, Wood, and Jackson Counties in West Virginia and in Meigs County, Ohio. Community Resources, Inc. (CRI), is another regionally oriented agency. It focuses its services on addressing social factors that can impact health, such as housing and income. CRI provides education for first-time homebuyers, home weatherization programs, financial guidance for low-income families, and a child-care food program. The agency also sponsors FaithLink, a program that connects volunteers with people over age 60 who need help because of physical disabilities or chronic illness. Although based in Parkersburg (in Wood County), CRI serves Jackson, Roane, Ritchie, Calhoun, Wood, Pleasants, Gilmer, Doddridge, Tyler, Wetzel, and Wirt Counties. Each of the organizations described above subscribes to principles of regionalism. In practice, this takes the form of sharing ideas, information, and other resources across multiple counties. It also takes the form of coordinating health care services across multiple counties, so that if comprehensive services are not available in a particular location, the most important services are accessible somewhere nearby. Collaborations like these also take place outside of the health care system. A partnership between the health department and the local school system provides resources for several nutrition and physical education programs. Through a Communities Putting Prevention to Work grant, the health department was able to purchase bicycles for the middle school physical education program. 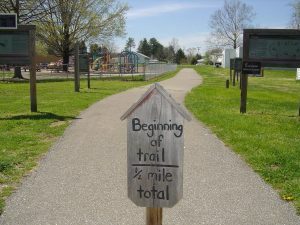 Wirt County has a walking trail around the middle school that was made possible when the school and several community partners pooled resources to build it. Fitness stations and playground equipment were installed around it to give residents opportunities to engage in physical exercise and outdoor recreation. Metro areas close to Wirt County offer higher levels of health services than the county itself (such as in neighboring Parkersburg, which has the Camden-Clark Medical Center), but some residents can’t easily get to them. 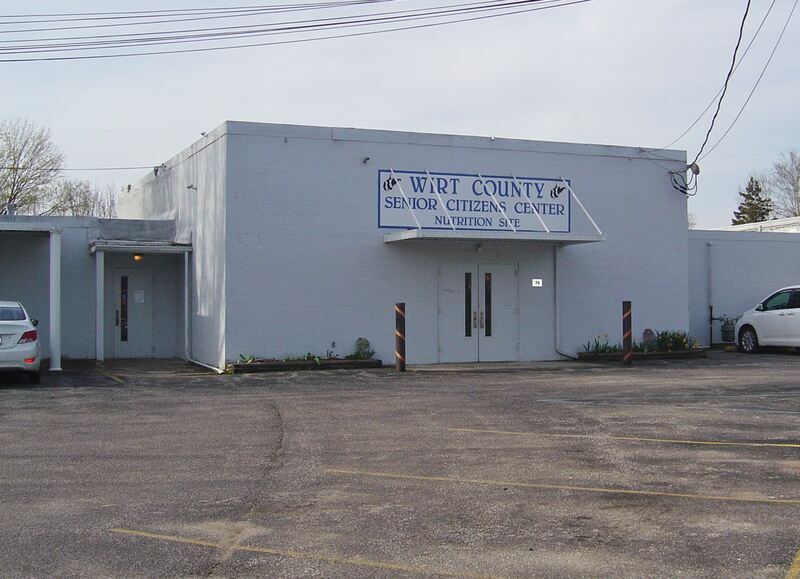 The Wirt County Senior Citizens Center strives to solve this challenge by providing transportation at little or no cost to anyone in the county over age 60 to get to medical appointments, pharmacies, grocery stores, and other locations. Funding from the Area Agency on Aging and other grants make this possible. Recognizing that nutrition is critical to health, the Wirt Ministerial Alliance—a group of local churches from throughout the county that work together on projects serving the community—sponsors a food pantry through its Hope Shop in the town of Elizabeth. Established 20 years ago, the Hope Shop provides nonperishable food items, produce, and frozen meat to approximately 60 families per month. Shop volunteers collect donations from the community and buy food from regional food banks to distribute to those in need. The Hope Shop also operates as a thrift store, reselling donated clothes and other items at affordable prices. For seniors in the community, the Wirt County Senior Citizens Center provides a meal delivery service for those unable to leave their homes, and offers a daily lunch at the center itself. The group meal setting creates an opportunity for the center’s staff and volunteers to talk with seniors about health-related matters, including the importance of taking medications on time and making healthy food choices. It also allows the 26-member staff to provide near-daily monitoring of health issues or concerns. For youth, the county extension service offers health-related and youth education programming. This includes healthy eating classes and a summer “feeding-and-reading” program for schools with a high percentage of students from low-income families. The latter program brings in AmeriCorps volunteers to work with students and help bolster their reading skills. Students who participate in the program receive two nourishing meals a day and a book each week. The Wirt County schools’ version of this program, called Energy Express, reaches out to children in lower-income parts of the county. To meet those students’ needs, the school system purchased and renovated a used bus to include a kitchen and a reading room, and equipped it to serve as a wi-fi hotspot. Kids can eat, read, and access the Internet on the bus, which moves from place to place around the county. Another element that contributes to the overall health and well-being of the residents in Wirt County is its active faith community. Reverend Lee Williams, pastor at Elizabeth United Methodist Church and the chair of the Wirt Ministerial Alliance, remembers a time years ago when the Hope Shop needed money to pay its bills. The community rallied to raise more than $1,000 in one day, demonstrating the organization’s value to residents. The Hope Shop is also a point of community pride as one of the longest-running local organizations. Today, community donations and grants help with the nonprofit’s finances. The Wirt County Missional Group is another faith-based organization that offers resources, focusing on Spring Valley, an area described by members as one of the poorest in the county. The group offers a food pantry twice a week, as well as help with minor home repairs, such as installing new flooring and water lines. These home repairs help decrease the health risks associated with unsafe or dilapidated living conditions. Local health organizations laud this work and try to collaborate with the group whenever possible. Donations made to the group also support other outreach efforts, such as providing Sunday meals for children after Bible study and hosting an annual “Kids’ Day at the Park” event. The group’s members see expenses as an investment in their faith and a way to connect with the community. It is evident that community members across Wirt County are working to make health a shared value. Residents lend a helping hand to others in times of need and are willing to dedicate time, money, and other resources to make ends meet and provide support to improve the health of all. Cross-sector collaboration, and a recognition of the need to collaborate across counties to make the best use of available resources, are critical to community health efforts. Out of necessity, Wirt County has learned to use regional resources to support health. County residents have demonstrated the high value they place on health in several ways. In 1996, the community stepped up to keep the Coplin Clinic from closing, and, along with the Coplin Clinic board, raised money to keep it operating. Today, the Coplin Clinic is thriving as part of Coplin Health Systems, which provides primary care, pharmacy, and wellness services in multiple locations. These services are available to all Wirt residents, regardless of income. 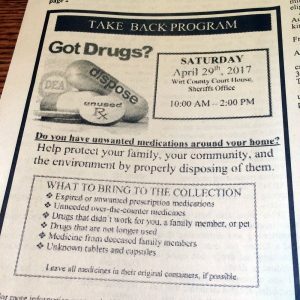 Efforts to support appropriate use and disposal of prescription drugs include a drug take-back program. Wirt County performed better than expected in the area of poisoning mortality, a seven-year measure reflecting unintentional deaths caused primarily by medication and other drug overdoses. Wirt’s success may be attributable in part to West Virginia’s prescription-drug monitoring program. The county’s single local pharmacy, which makes special efforts to ensure appropriate use and disposal of drugs, may have played a critical role as well; and Wirt also provides a secure, monitored, in-ground bunker for the disposal of outdated and surplus drugs. The better-than-expected poisoning mortality rates may also be due in part to Wirt’s proximity to high-quality hospital services at the Camden-Clark Medical Center in Parkersburg. Wirt County also scores better than expected on injury mortality, a measure that incorporates poisoning mortality as well as other unintentional injuries. It is possible that this better-than-expected outcome may be related to some degree to the decline of the lumber industry in Wirt County—a profession known to pose environmental hazards. While lumber was once a major industry in the county, only a few of the larger lumber operators are now in business. These larger operators tend to use newer and safer tree-harvesting technology. Research suggests that “feller-bunchers”—tree-cutting machines that have replaced handheld chainsaws—have lowered injury rates in the industry by 50 to 75 percent (Ray 2016). Overall, Wirt County is making strides toward creating a healthier community for residents of all ages. Agency for Healthcare Research and Quality. 2011. “Chapter 9: Access to Health Care, 2011 National Healthcare Quality Report.” Agency for Healthcare Research and Quality. Allott, Daniel and Jordan Allott. 2017. “The Race to 2020: The people and places that will define a presidency.” Washington Examiner. Accessed May 15, 2018. Appalachian Regional Commission. 2017. The Appalachian Region. September 1. County Health Rankings. 2018. “West Virginia: Wirt County.” Accessed May 15, 2018. Ellison, Ayla. 2016. Hospital CFO Report: 6 common characteristics of hospitals vulnerable to closure. February 09. Accessed July 27, 2017. Holmes, G. Mark, Nancy M. Lane, Thomas A. Arcury, Michael L. Schawlbe, Randy Randolph, John Frank, Sharita Thomas, et. al. 2018. Identifying Bright Spots in Appalachian Health: Statistical Analysis. Washington, D.C.: Appalachian Regional Commission. Loma Linda University School of Public Health. 2017. Findings for AHS-2. September 1. Marshall, Julie L., Logan Thomas, Nancy M. Lane, G. Mark Holmes, Thomas A. Arcury, Randy Randolph, Pam Silberman, et al. 2017. Health Disparities in Appalachia. Washington, D.C.: Appalachian Regional Commission. Office of Disease Prevention and Health Promotion. US DHHS. 2017. Healthy People / 2020 Topics & Objectives/ Access to Health Services. Accessed July 27, 2017. Ray, Logan. 2016. “An Assessment of Workplace Injury in Kentucky’s Logging Industry.” MPH Thesis, University of Kentucky. Wirt County Health Services Association. 2015. About Coplin Health Systems. WorkForce West Virginia. 2017. County Unemployment Rates. Source: These data are compiled from the U.S. Bureau of Labor Statistics, Local Area Unemployment Statistics, 2014, and the U.S. Census Bureau American Community Survey Selected Social Characteristics, General Economic Characteristics, Demographic and Housing Characteristics, and Educational Attainment Tables for years 2010–2014 and 2011–2015. For details on the outcome measures, see the data files accompanying the report Identifying Bright Spots in Appalachian Health: Statistical Analysis. For details on the driver measures, see the data files accompanying the report Identifying Bright Spots in Appalachian Health: Statistical Analysis. See Table 42 in the data appendix at the end of this case study for a full list of actual health outcomes for Wirt County compared with predicted outcomes. For details on the outcome measures, see the data files accompanying the report Identifying Bright Spots in Appalachian Health: Statistical Analysis. Table 40 in the Wirt County data appendix at the end of this case study provides a quantitative profile of county characteristics. For a full explanation of the methodology, see Appendix B: Research Approach. For a list of key informants interviewed for this county, see Table 41 in the data appendix at the end of this case study. Income inequality is the ratio of household income at the 80th percentile to that at the 20th percentile. A higher ratio reflects greater division between the top and the bottom of the income spectrum.